This week’s post comes from Paris producer, Dang Khoa Chau, AKA D.K. (not to be confused with Dave DK). He’s released a stunning LP on Antinote full of deliciously retro vibes. A couple of our favorites are the opening track 'Evening Shadows', leading with a soft, almost playful day-time ambience. A track to chill, not to dance, and absolutely timeless. 'Memories' is another superb work. A beautiful drive through a nostalgic landscape with an irresistible rhythmic synth chugging along as sublime saxophones sooth. As it builds, it instills a warmth deep inside, leaving a smile behind. A sublime track to throw on the headphones and just melt into the sofa. 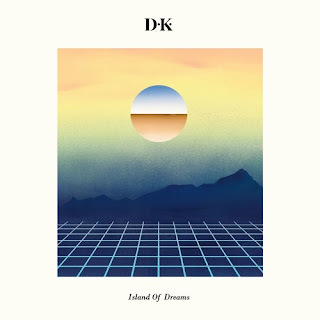 Be sure to check out the whole thing if you can, 'Island Of Dreams' has a lot more to offer and is definitely worth playing a few times through.